Sarah Holden received her MFA in Studio Art with a focus in Jewelry and Metalsmithing from the University of Wisconsin, Milwaukee and her BFA in Crafts/Material Studies and Sculpture from Virginia Commonwealth University. 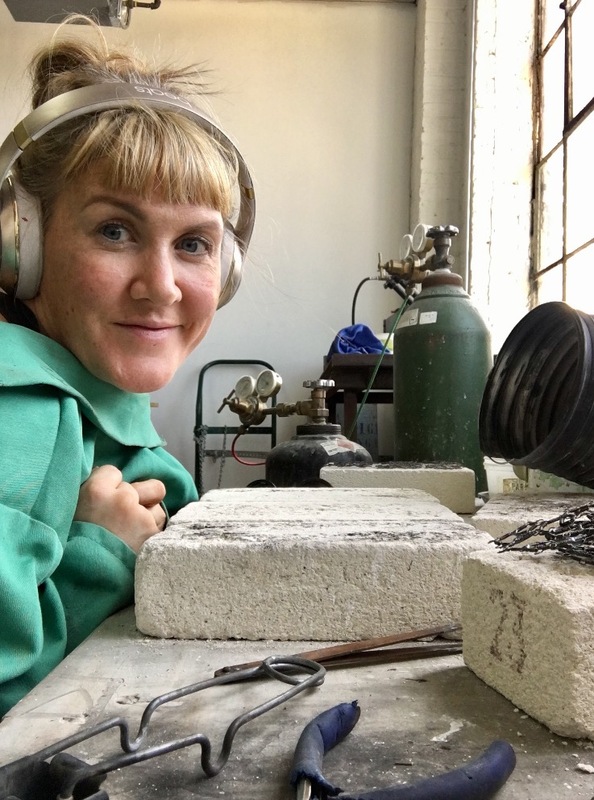 Sarah has presented as a visiting artist at The School of the Art Institute of Chicago, The University of Wisconsin, Whitewater and taught as a Metals Instructor at The Penland School of Crafts. Sarah currently teaches steel fabrication and metal forming at The Chicago Industrial Arts and Design Center. Sarah’s sculpture and limited production jewelry can be found at galleries across the US. Sarah currently lives in Chicago where she works as a studio artist, metals instructor and mom.